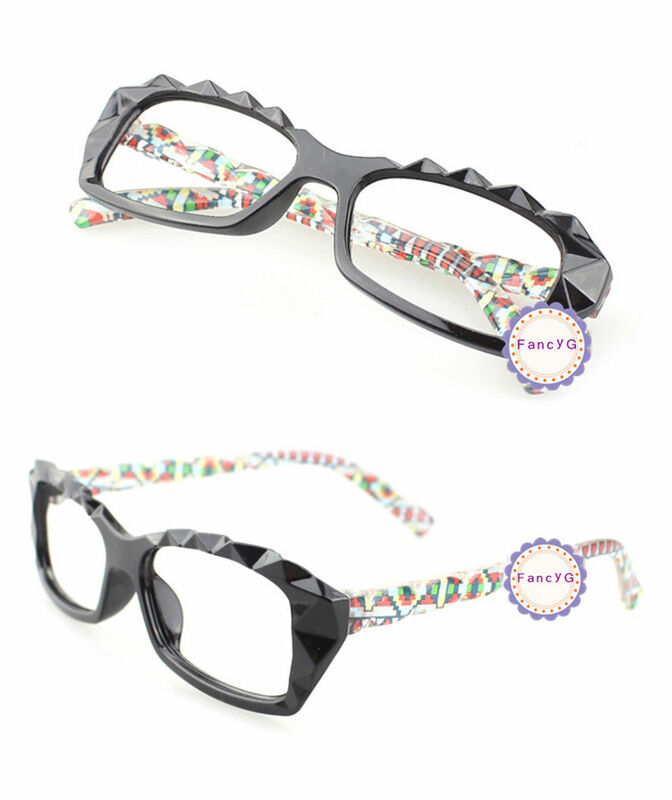 DIAMOND CUT RETRO STYLE FASHION GLASS FRAME - NO LENS BRAND NEW COOL DIAMOND CUT RETRO STYLE FASHION GLASS FRAME WITHOUT LENS VERY CUTE AND FASHION GREAT FOR DAILY CASUAL OR COSTUME MADE OF HIGH QUALITY PLASTIC, LARGE SIZE FITS FOR ADULTS ACTUAL COLOR MAY HAVE A VERY SLIGHTLY DIFFERENCE BECAUSE OF LIGHTING WHEN TAKING PHOTOGRAPH WE ACCEPT PAYPAL ONLY, AND PAYPAL DOES HAVE ONE TIME PAYMENT OPTION BY CREDIT CARD THRU PAYPAL PLEASE NOTE THAT THE E-CHECK MAY TAKE COUPLE DAYS FOR PAYPAL TO CLEAR, AND WE CAN ONLY SHIP OUT THE ITEM ONCE THE PAYMENT IS CLEARED BY PAYPAL PLEASE MAKE YOUR PAYMENT WITHIN 7 DAYS AFTER WINNING, OTHERWISE WE WILL RE-LIST THE ITEM AND FILE UNPAID CASE FAST SHIPPING TO UNITED STATES WITH USPS TRACKING. ALL ITEMS WILL BE SHIPPED ON SAME DAY OR 2ND BUSINESS DAY AFTER PAYMENT. WORLDWIDE SHIPPING WILL BE 7 AND ONLY 1 FOR EACH ADDITIONAL ITEM CUSTOMER SATISFACTION IS OUR PRIORITY, AND ALL OF OUR PRODUCTS ARE CHOSEN CAREFULLY. ALL ITEMS WILL BE INSPECTED BEFORE SHIPPING AND WE MAKE SURE THE ITEM IS NOT DEFECTIVE. IF YOU WOULD LIKE TO RETURN A ITEM, PLEASE CONTACT US FIRST BEFORE SENDING BACK, OTHERWISE WE WILL NOT ACCEPT RETURN. WE ARE NOT RESPONSIBLE FOR WRONG/INVALID/UNDELIVERABLE ADDRESS, AND BUYER IS RESPONSIBLE FOR RETURNRESHIP COST IF BUYER'S FAULT WE VALUE OUR BUSINESS VERY SERIOUSLY, AND WE STRIVE TO DELIVER 5-STAR CUSTOMER SERVICE TO YOU. PLEASE KINDLY POST US A POSITIVE FEEDBACK AND DETAILED SELLER RATINGS IF YOU ARE SATISFIED WITH OUR PRODUCTS AND SERVICES. IF YOU HAVE ANY CONCERN, PLEASE CONTACT US FIRST BEFORE LEAVING NEGATIVE FEEDBACK, AND WE WILL TRY OUR BEST TO RESOLVE IT FOR YOU. PLEASE FEEL FREE TO CONTACT US IF YOU HAVE ANY QUESTION OR CONCERN THRU MESSAGE, AND WE WILL REPLY YOU WITHIN 24 HOURS. Powered by Turbo Lister The free listing tool. List your items fast and easy and manage your active items.